The Homer Knight Barn in North Hero will be gifted to Island Arts in a ceremony next Tuesday. For more than three decades, an all-volunteer group of Grand Isle County residents has taken it upon themselves to infuse the islands with art events, performances, classes for adults and kids, visual-arts exhibits and other activities. Since 1988, when it first incorporated as a nonprofit organization, that group has been known as Island Arts. Next week, it's getting a permanent home. In a deeding ceremony on Tuesday, July 1, an elderly benefactor will present Island Arts with a new home in a beautiful old barn. That is, it will be home once further renovations are complete. What began as a handful of friends inviting local and regional artists to teach and perform in an idyllic setting during the summer months has evolved into a year-round cultural and community staple. Island Arts currently runs arts education programs in all five of Grand Isle County's schools; this year's calendar of events for the public includes 15 classes, three concerts, an annual crafts show and more. The organization also awards two endowed scholarships for promising young artists, and gives financial aid for art classes and programming. "I think we're successful because we believe in creativity, we believe that it’s a necessary ingredient to make life more exciting and less mundane," says Katya Wilcox, a founder and board member. "We want to encourage and foster that creativity, in children particularly." Though Island Arts has brought artistic wealth to every corner of Grand Isle County, the organization has never had a steady home base from which to operate. Instead, it has worked from community spaces such as churches, town halls, libraries and even members' living rooms. It has held hundreds of events, exhibits and performances in just about "every place available," says Wilcox, in Alburgh, Grand Isle, Isle La Motte, North Hero and South Hero. Island Arts currently rents gallery and office space in North Hero. 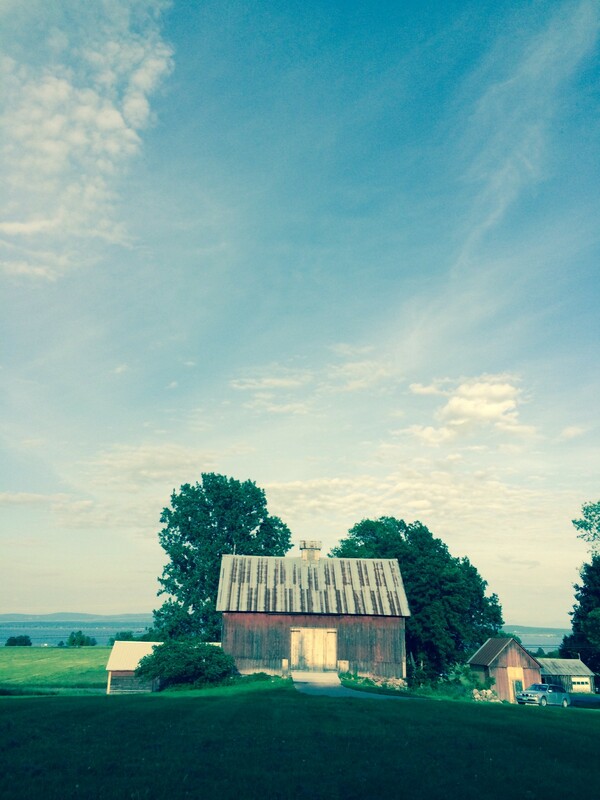 Next Tuesday, Anne M. August, a 92-year-old benefactor who has summered in the Champlain Islands for much of her life, will hand over the century-old Homer Knight Barn on Route 2 in North Hero. She purchased it, and had it restored, specifically to donate to Island Arts. The deed will be transferred from August to the organization at a ribbon-cutting ceremony on-site. August reportedly spent $125,000 for the two-story barn, which comes with two additional structures — a granary and milk shed — and 3.5 acres, according to Wilcox. (August could not be reached for comment.) After the purchase, August contracted a local architect, Eliot Lothrop, to restore the barn in painstaking detail, even replicating the type of wood that had gone into the original. "It's now beautifully restored," Wilcox says. "It had been about to fall down." But plenty of work remains to be done; Wilcox guesses it will be another couple of years before the barn is fully operational as an arts center. Though the barn's infrastructure is now solid, Island Arts needs to fundraise approximately $500,000 for further restoration and renovation once the deed is transferred, Wilcox estimates. That's because the barn currently has no water, insulation, electricity or septic system, and the property has to pass zoning hurdles, such as making the space handicap-accessible. Wilcox says it's worth the wait. Eventually, the barn will house Island Arts' offices, classroom and performance spaces, as well as a gallery for exhibiting local artists' work. It will also provide a central drop-off point for school buses and busy parents, who can bring their kids to after-school classes and other activities. Island Arts will launch a capital campaign in the coming months, with its sights on that next half-million, and will solicit applications from architects to design the interior of the space. "It’s going to be so great to have one place," Wilcox says, "and it doesn’t mean there won’t be other [Island Arts programming] elsewhere, but people will come and they can see art. It’ll be open every day." The plan, she says, is to provide an arts center that will serve Grand Isle County "for generations to come."